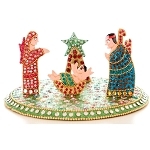 Detailed hand-carving distinguishes this fine nativity set. 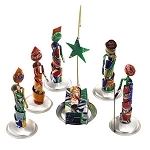 Shepherds and Kings, the Holy Family and animals—11 pieces in all. 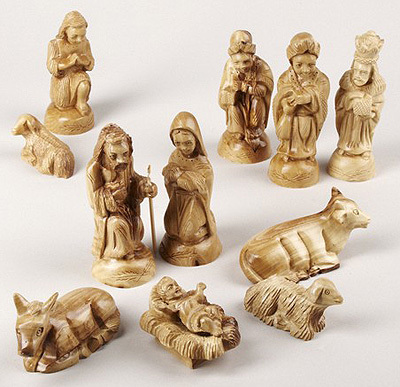 Carved olive wood from the land of the Nativity.